People rely on their kitchen appliances on a daily basis.When one of them breaks, it can quickly turn your daily routine into a mess.Most of owners are not skilled in fixing such problems.We suggest turning to a kitchen appliances repair Calgary tech. Our company has helped thousands of customers get their fridge or stove back on track. We are the right source for any home appliance repair you may need. 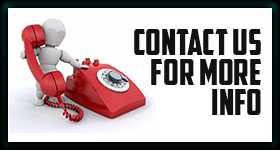 Just drop us a call and the local tech will arrive to resolve your concerns. With years in the business, Appliance Repair Calgary has become one of the most reliable service providers in the area.You can rely on us to fix different makes and models of freezers, oven s or garbage disposals. There are hundreds of successful kitchen appliance repairs in our track record. According to our rules, every job must be done in a timely and affordable manner. Whenever you face any problem, we have the right solution for you.Our company is a trusted partner for kitchen appliances repair in Calgary, Alberta.All the appliance service technicians we dispatch are certified to work on most renowned brands. All techs are familiar with the industry novelties and the latest repair techniques.Thus, you can count on a high quality appliances repair service each and every time. Calgary experts arrive fully prepared. With the help of necessary parts and tools, a skilled pro can handle your appliances repair in one go. After a thorough diagnosis, the tech will assess the situation and give you a free estimate.We promise to honor the given quote and start the job only after your approval. Our company can tackle the most complex tasks that other technicians prefer to decline.Aside from servicing large home appliances, we offer small appliance repair.From regular models to high-end ones, we know how to make them work in a proper way. So don’t lose your time and schedule your Calgary kitchen appliances repair without hesitation. We would be happy to assist you!